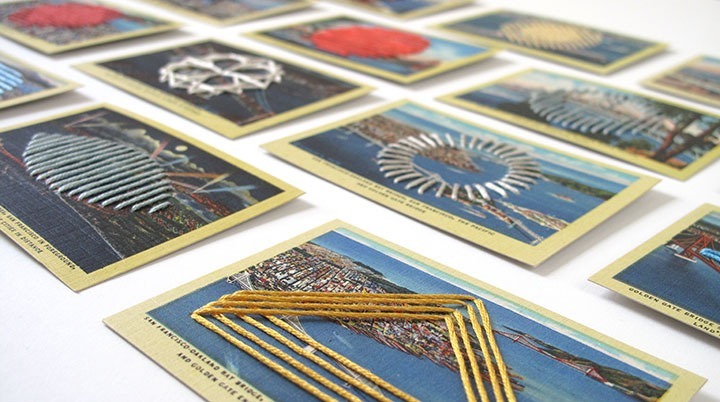 Set of 18 hand-embroidered mini-postcards, 3-1/2 x 2-1/2 inches each. A new series made just for the shop! 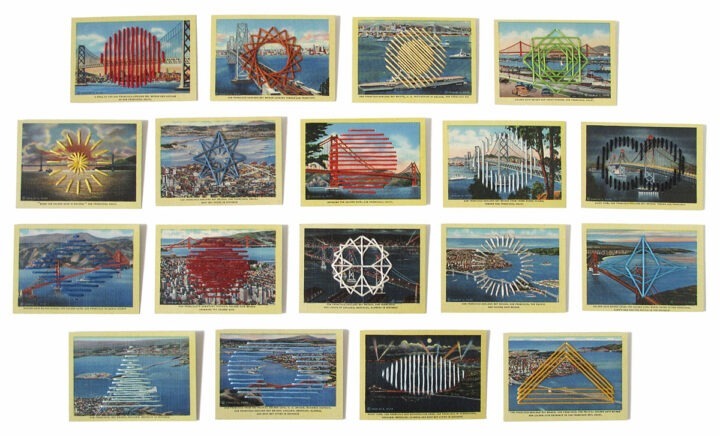 I picked up this set of vintage mini postcards (Souvenir Views – World’s Greatest Bridges: San Francisco by Stanley A. Piltz Company) while visiting San Francisco last month. It was an interesting challenge working with such a small surface area, and a lot of fun–especially after the last series of bigger and much more elaborately planned out pieces… which are now also available in the shop!